leader have come not only courtesy of professional acumen, but personal experience. It is through the tragedies and triumphs of her own life – some of which she has shared as a highly sought-after international speaker – that she has established authority and authenticity with people from all walks of life. She shares those experiences in greater depth than ever before in her first book, No More Faking Fine (Zondervan), in the hope that readers will apply the events and learnings of her life to their own disappointments and injuries, resulting in new hope, healing and health. In addition to writing and speaking, Fleece is founder and CEO of L&L Consulting, Inc., where she helps new and established Christian ministries develop innovative strategies for non-profit sustainability, new business development, next generation outreach, marketing and communications and relationship brokering. 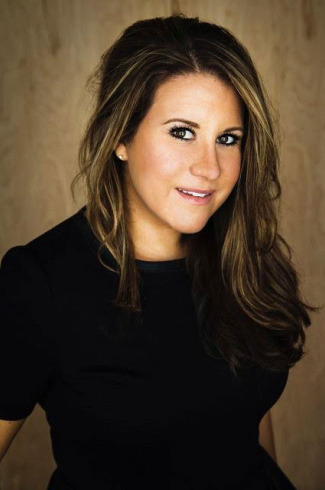 She is recognized as a trailblazer among millennials, working for over a decade to connect influential individuals and organizations across generations to their mutual benefit. Fleece is a committee member for the Alliance for The Peace of Jerusalem, an organization dedicated to facilitating a better public understanding of the complexities of the Middle East. Fleece is a graduate of the Oxford Centre for Christian Apologetics Business Program, where she met her husband Joel. She has a Bachelor of Arts Degree in Communications from Oakland University and is currently in Seminary studying Women’s Leadership.